I absolutely fell in love with lentil dal recipes and pretty much all other Indian food when I was about twenty years old. I was living in London and not one bit interested in eating clean. I didn’t get diagnosed with multiple sclerosis until I was twenty-two years old, so before that I just ate whatever I liked and whatever tasted good. And let me tell you, Indian food in London tastes amazing. I’ve never been to India so I can’t say definitively that the Indian food I loved so much in London was truly authentic, but it was good enough that to this day it is still one of the things I miss most about living overseas. By the way, if you have the chance to visit London do be sure to go to Brick Lane…also known as the “Curry Mile”…for some of the best Indian restaurants in the city. Beans and lentils, simply called “dal” in India, are arguably the most versatile foods in the Indian culinary repertoire. Dal is basically the mashed potatoes and mac-n-cheese of Indian cuisine. In other words, dal is their ultimate comfort food, no matter which economic stratum they come from. But, unlike mashed potatoes and mac-n-cheese, dal is far more nutrient-dense. I can’t think of too many foods that could be healthier as a staple food other than beans and lentils. Yet some people actually avoid beans and lentils for fear they are fattening or otherwise unhealthy. 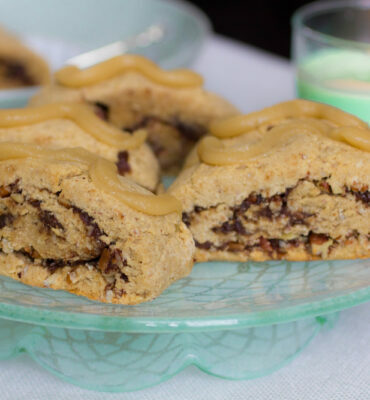 In fact, the back story behind this recipe is that a friend of mine mentioned she was trying to lose weight and she asked if I could suggest a few best foods for weight loss. While dark green leafy vegetables were the first thing that came to mind, beans and lentils were very close to the top of my list for the very best foods for weight loss. So you can imagine how I was totally surprised when my friend said that although she loved beans and lentils she specifically avoided eating them because she thought they had too many calories. “What?! 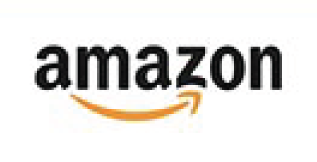 ?”, I thought? I have no idea where she got that idea from but it made me think other people must avoid beans and lentils for fear they are fattening too. To set the record straight…beans and lentils will not make you fat. Anything but! I do not like the concept of counting calories, but the facts are beans and lentils do not have a lot of calories. 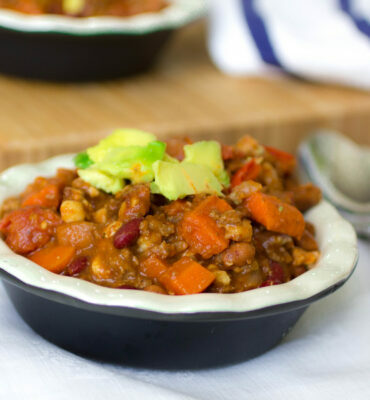 Not only are beans and lentils very low in calories (1 serving has under 100 calories), they are some of the very best foods on earth for fiber, which is extremely important for weight loss. 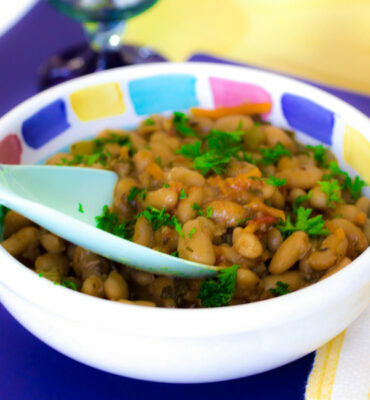 Beans and lentils are also loaded with micronutrients, including important antioxidants and phytonutrients, that work together to support a healthy metabolism and curb food cravings. They also deliver an excellent source of “clean” vegan protein and help sustain energy levels throughout the day. And finally, the resistant starch contained within beans and lentils make them one of the absolute very best foods on the planet for weight loss. Resistant starch is a special type of dietary fiber found in carbohydrate containing “whole foods” (including potatoes!) It gets its name because it “resists” digestion in the body, and though this is true of many types of fiber, what makes resistant starch so special is the powerful impact it has on weight loss and overall health. If you are trying to lose weight, resistant starch can be an incredibly helpful tool: not only does it increase your body’s ability to burn fat, it also fills you up and reduces overall hunger. Studies even show it improves blood sugar control, boosts immunity, and may even reduce your cancer risk. 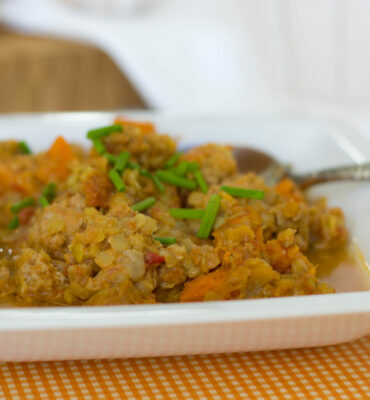 The Lentil Dal Recipe is loaded with resistant starch along with a gillion other good-for-you things! 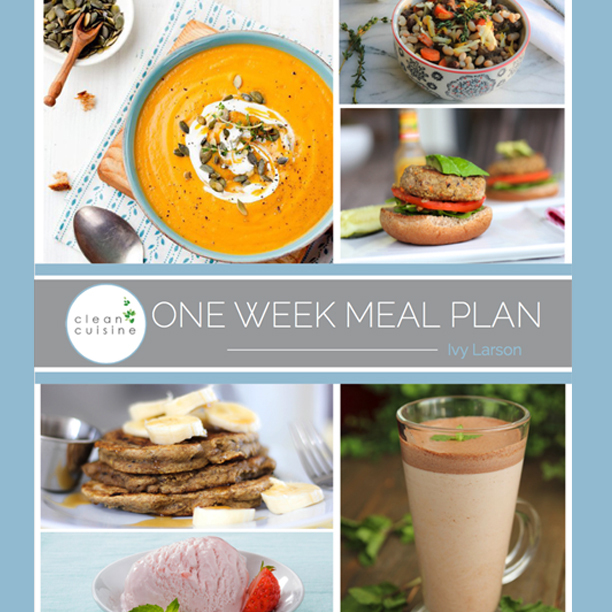 If you have our Clean Cuisine book, you know beans and lentils play a crucial role in our anti-inflammatory diet. In fact, the benefits of beans (and lentils) and the resistant starch contained within them play such an important role in reducing overall inflammation that we suggest you eat them once a day. The conventional lentil dal recipe is rather thick and traditionally served over rice. 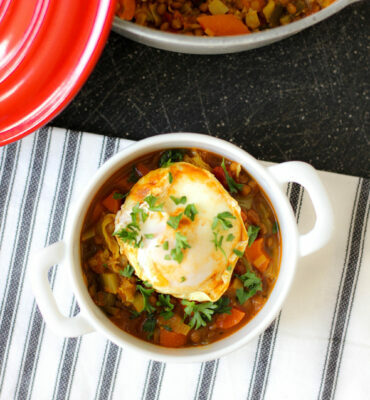 However, since I was initially creating this recipe for a friend who wanted to lose weight, I decided to turn the lentil dal into a soup rather than the thick rendition that you would probably want to serve over rice. It’s not that I have anything against rice (assuming it is brown! ), but if I had to choose between beans and rice for weight loss, I would have to go with beans. Also, there is legitimate research showing soup can help with weight loss. Incredibly satiating and loaded with resistant starch, this Indian Soup Golden Lentil Dal Recipe will help control appetite and curb food cravings. Add the oil to an extra large, heavy skillet and heat over medium-heat. When the oil is hot, add the ginger and chiles and saute for 1 minute. Add onions and carrots and saute until soft and translucent, 6 to 7 minutes. Season with corriander, turmeric, cayenne pepper, paprika and salt to taste. Add the yellow lentils to the skillet with the onions and pour in 5 cups of the vegetable broth, coconut milk and tomatoes. Cover partially and cook over moderate heat, stirring occasionally, until the lentils are just tender, about 25 minutes. Transfer 1 1/2 cups of the lentils to a high speed blender (such as a Vitamix) or food processor and puree until smooth. Return the puree to the saucepan. Add the remaining 1 cup of vegetable broth and the zucchini and bring to a simmer. Season with additional salt to taste. Cover and cook over low heat, stirring occasionally, until zucchini is tender, about 15 minutes. Add the lemon juice and adjust the seasoning. Serve warm. This dish freezes well. 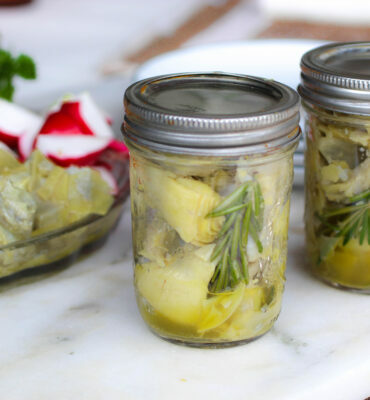 To freeze, transfer to an airtight container and freeze for up to 3 months. Reheat in microwave or on stove top over low heat. 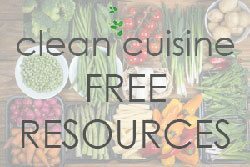 LOOKING FOR MORE CLEAN EATING RECIPES? 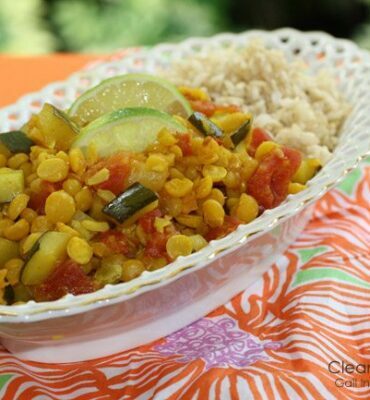 If you liked the Yellow Lentil Dal Recipe be sure to check out Clean Cuisine Dinners! 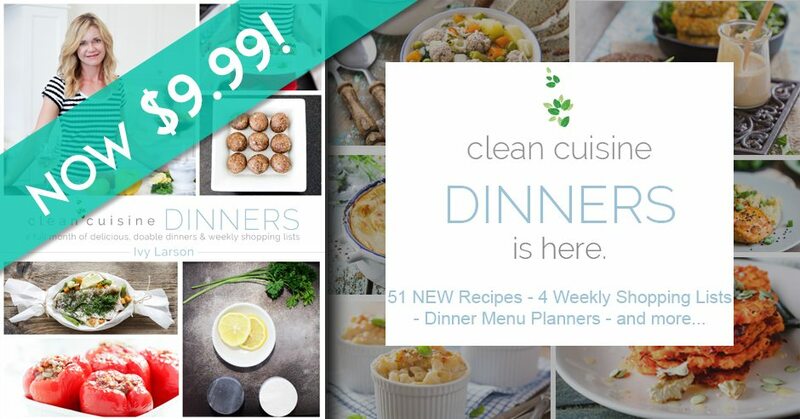 The digital cookbook offers a full month of clean eating dinner recipes including weekly menu planner, shopping lists and more!